There are few state movements more bullish and progressive than that behind legal Connecticut sports betting. As one of the United States’ first truly outspoken sports gambling advocates, Connecticut – along with New Jersey – is leading the charge to change the public narrative around the pastime. And with the successful overturn of the Professional and Amateur Sports Protection Act (PASPA, 1992), that narrative is definitely changing nationwide! This isn’t the first time Connecticut has been a gambling pioneer, though. 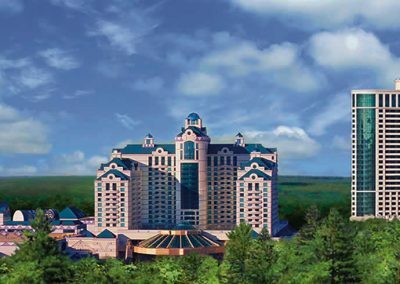 In fact, the positive economic impact of Indian casinos was largely proved and popularized by the state’s two such establishments, the Mohegan Sun and its neighbor, Foxwoods Resort Casino. So if you want to do some Vegas-style casino gaming but don’t live anywhere near the northeast coast of the United States and don’t really feel like going to New Jersey (because who does? ), head over to Connecticut. And if you want to get in on some legal sports betting before the CT codefies the practice (and you don’t want to go to Rhode Island to place sports wagers, which is the nearest state to CT actively offering the pastime), read on to learn how. 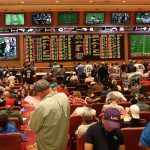 Is Land Based Sports Betting Legal In Connecticut? Almost. 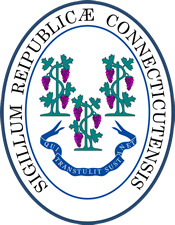 Land-based legal Connecticut sports betting was authorized in early 2017 by the passage of Public Act 17-209 (formerly HB 6948), making the state one of the first in the country to preemptively legislate a framework for sports gambling that would go into effect when and if PASPA was eliminated. Now that the Supreme Court has ruled PASPA unconstitutional, Connecticut will be poised to bolster its two first-class Indian casino destinations with the single most popular form of gambling in the world. Whether or not the state’s tribal compacts will allow the Connecticut government to benefit from legalized sports betting remains to be seen, though this seems like the last hurdle that needs to be worked out going forward. Connecticut may not legally host online sportsbooks that operate within the state. Further, because of the Interstate Wire Act of 1961, Connecticut residents cannot use the Internet to place sports bets in places like Nevada or New Jersey, where the practice is legal. However, this ban on interstate gambling communications applies only to the United States, and it applies only to the parties accepting – not placing – the bets. Companies based overseas, on the other hand, may host online sportsbook sites, and US-based users can legally place bets through them. Membership to all of the top online sportsbooks is completely free of charge, and signing up only takes a few minutes. While sports betting is going to skyrocket inside the state’s borders in the not-too-distant future, right now, there is no place to bet on sports in Connecticut. At least, there’s no on-site location or physical booth or kiosk. 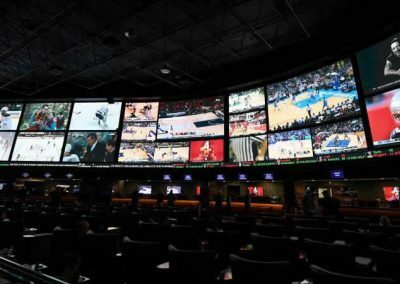 Luckily, you don’t have to look very far, because you can legally bet on sports on the Internet at various overseas sportsbooks. Just head over to Bovada, BetOnline, SportsBetting, 5Dimes, or another top site. Join one or all of them. Either way, you’ll have immediate access to more sports betting than you’ve probably ever seen, with a selection that puts even Sin City to shame. Connecticut only has two casinos, both on tribal land in the southeast corner of the state. 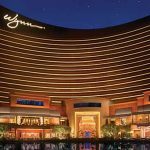 So if you live near Uncasville or Mashantucket, you can hop over to the world-famous Mohegan Sun or the Foxwoods Resort Casino, which is the largest casino in America. There, you’ll be able to bet on almost any casino game you can imagine, including blackjack, craps, roulette, keno, baccarat, horse racing, and more. Unfortunately, sports betting isn’t yet on the list, though Connecticut law will surely allow it in the very near future. However, if you wish to wager on sports at a land-based venue right now, you can make the short drive to Rhode Island, which has full-service sports betting available today in Tiverton and Lincoln. One day, you’ll be able to head over to one of Connecticut’s giant casinos and bet on the big game, but that’s still a little ways off. Until then, the best destinations for legal Connecticut sports betting are, without doubt, the big online sportsbooks. Located overseas and free from American jurisdiction, these include Bovada, BetOnline, SportsBetting, and 5Dimes. Bovada is your go-to if you want the most decorated and lauded customer service in the industry. That said, BetOnline and SportsBetting are no slouches in the service department, and they have the benefit of offering you the most complete payment options in the industry. Last but not least, 5Dimes is where you need to go if you want to wager on the most unique, creative props, futures, and parlays. Other top sports betting sites include BetDSI and BookMaker, both of whom round out this selection of the best of the best. The sports betting and gambling laws in Connecticut are fairly liberal compared to most of the rest of the country. In mid-2017, Connecticut became one of only a handful of states to approve affirmative sports betting legislation. While Public Act 17-209 gave Connecticut the sole authority to regulate sports betting inside its borders, the law was contingent on PASPA’s overturning or repeal, which happened about a year later, in May of 2018. Now, legal Connecticut sports betting must simply be finalized by the legislature before it goes into full effect statewide. 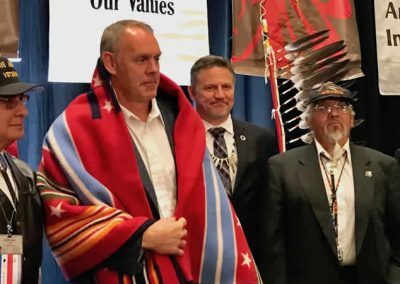 Other than sports betting, Connecticut allows casino gambling only on tribal lands, boasting two of the largest such gaming facilities in the world. 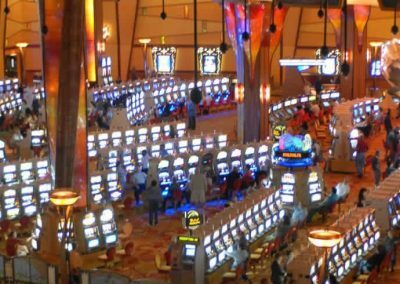 At the Mohegan Sun and the Foxwoods Resort Casino, approved games include blackjack, craps, roulette, Keno, baccarat, and over a dozen other table games. Of course, there’s plenty of poker and slot machines, too. Bingo, jai-alai, horse racing, and Greyhound racing round out the gambling menu. Connecticut also operates a state lottery. Connecticut doesn’t have any big-time professional sports teams to bet on, but it owns NCAA basketball like nowhere else. For example, the Geno Auriemma era at UConn (as coach of the women’s basketball team) has seen an unprecedented run of success, equaled by no other club in college or professional sports history, and the team shows no signs of slowing down. In Connecticut, there’s also a large circuit of professional baseball teams that are unaffiliated with Major League Baseball or its Minor League Baseball (MiLB) farm systems. On the hockey side, the Bridgeport Sound Tigers are minor league representatives of the NHL’s New York Islanders. The Connecticut Sun of the WNBA and the New England Black Wolves of Major League Lacrosse both play at the Mohegan Sun Arena in Uncasville, exemplifying the synergistic relationship between sporting arenas and casino destinations. Connecticut has a rich history of horse racing and horse race betting. Home to the first filmed harness horse race (and one of the first “photo finishes” in history), the long-closed Charter Oak Park was opened in early 1873. Though it closed ages ago, the historic allure of the so-called “Sport of Kings” remains a part of modern-day Connecticut. Today, while horse racing is generally less popular than in its mid-century heyday, it still has a strong betting presence in Connecticut. The state has no active horse tracks, but it allows off-track pari-mutuel betting on horse races, including simulcasts at the Mohegan Sun and Foxwoods casinos. Simulcast Greyhound betting remains legal in Connecticut, but as with the ponies, there are no longer any open tracks. Daily Fantasy Sports, or DFS, has been largely unaddressed by Connecticut law until recently. The largest DFS leagues, like DraftKings and FanDuel, both do business in the state and accept new resident members. In the meantime, however, both companies are lobbying authorities to establish once and for all that DFS’ legal status in the state is specifically determined. Regarding such legislation, recent attempts in the Connecticut congress to establish a framework of regulations governing Daily Fantasy Sports (namely HB 6400) have been met with lukewarm responses and further inaction. Still, not passing a law to “legalize” something does not render that something illegal. Pending a definitive law to the contrary, DFS should remain accessible to everyone in Connecticut, and SB 1502 – the state’s 2018 budget outline – actually includes projected revenue from DFS, pending agreement with the state’s tribes. Can I Bet Real Money On Sports In Connecticut? Yes indeed! But remember, you can currently only take advantage of legal Connecticut sports betting by using an offshore, online sportsbook. Due to the security and logistics concerns of mailing actual cash money overseas, most sportsbooks won’t take the stuff, opting instead for easier methods. Bovada, BetOnline, SportsBetting, and 5Dimes all accept Visa, Mastercard, money orders, bank transfers, Bitcoin, and more, with BetOnline and SportsBetting having the most options immediately available. Most of these sportsbooks offer several payout options for your winnings, as well, which makes collecting just as easy as betting. Is Online Sports Betting Safe In Connecticut? Absolutely. In fact, online sports betting in Connecticut is much safer than any other avenue. You don’t have to deal with illegal sportsbooks and shady oddsmakers, and you can rest assured that all your personal data is secure and encrypted. Even better, you don’t have to leave your house to do it. No braving the Connecticut winter’s icy streets and terrible drivers to lay a wager on your favorite hockey team. A breakaway might be great for your betting line, but it’s not so good for your bumper. 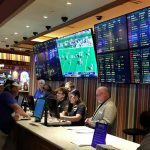 Will Sports Betting In Connecticut Ever Be Legal? Considering the growing national interest in sports gambling, on-land legal Connecticut sports betting is a near certainty in the near future. Since the state already passed its preemptive HB 6948, Connecticut is poised to be one of the trailblazers of legalized sports betting. It remains unclear whether the new pro-gaming law will allow state-wide sports betting or limit such activity to the existing Connecticut casino districts. In either case, there’s also a question of whether or not these local sportsbooks will be able to offer online sports betting services to Connecticut residents. Will I Get Arrested For Sports Betting In Connecticut? Not unless you bet against Huskies women’s basketball, lose like a chump, get mad at yourself for being stupid, and then bash Fat Tony over the head with a beer bottle. Even then, you won’t so much get arrested for sports betting in Connecticut as you will get your kneecap caved in for sports betting in Connecticut. In all seriousness, there is no record of anyone being arrested for sports betting in Connecticut, and there are no laws that even hint at the possibility. Like most states, all existing restrictions on the books apply only to those who make books and accept bets, not those who place them. What Is the Minimum Legal Sports Betting Age In Connecticut? Assuming that the sports betting age in Connecticut aligns with the state’s general age guidelines for the rest of the gambling industry, 21 years old is the minimum age at which you will be able to place sports bets in CT. Until the state actually changes that limit, it’s a good idea to abide by it, whether online or off. Even though online sportsbooks, including Bovada and the others, have historically made 18 the minimum membership age, it’s always smart to go by your state’s guidelines. Regardless, one thing remains clear: Never lie about your age when you sign up at a sportsbook. If you’re underage, you simply won’t get your winnings. Worse, violating any site’s terms of service can get you permanently banned and all of your funds confiscated. Are There Mobile Sports Betting Apps Available In Connecticut? There are no legal Connecticut sports betting apps in any major app store or mobile marketplace. That’s guaranteed to change at some point now that PASPA finally eliminated, but for now, you have to rely on so-called “web apps” if you want a convenient mobile experience. 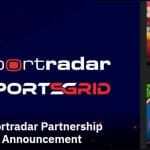 To get your favorite online sportsbook saved to your phone or tablet as a web app, simply open your mobile browser, go to the site of your choice, and save that page to your home screen. This will give you quick access to your favorite bookmaker in the future. Better yet, the top online sportsbooks have all made it a priority to refine their small-screen mobile sites for both efficiency and visual polish. Where Is The Best Place To Bet On Sports In Connecticut? While the Mohegan Sun and the Foxwoods Resort Casino are two of the world’s biggest, boldest gambling destinations, they don’t yet offer legal sports betting in Connecticut. That means that, for now, your best bet for betting on sports in the state remains to use an offshore service. Overseas sportsbooks like Bovada, BetOnline, SportsBetting, and 5Dimes are the only places to go for legal Connecticut sports betting. Depending on your specific gambling style or financial situation, you’ll probably favor one book over another. Bovada is the senior member, with several combined decades of savvy industry experience. Both BetOnline and SportsBetting feature the widest range of payment options, and 5Dimes stands out for offering the widest-ranging, most unique sports, props, and futures. Should I Use A Local Bookie In Connecticut? One day, local bookies will be legitimate businesspeople in Connecticut. But that day is not today. So right now, any local bookie in the state is operating illegally when they offer and accept sports bets. It isn’t illegal for you to place bets with said bookie, but there’s definitely no recourse if you get ripped off or cast aside as collateral damage. For safety’s sake, it’s just a better plan to stick to online bookies for now. Do Any Casinos In Connecticut Have Sports Betting? Not yet. 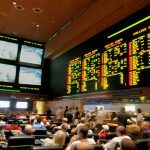 You can be sure that the Mohegan Sun and Foxwoods Resort Casino both have plans in place for legal Connecticut sports betting, but until the state formally legalizes the pastime, the casinos won’t touch the stuff. Can I Bet On Sports With My Friends In Connecticut? In other words, anybody who gambles with their actual, real-life friends or associates (and isn’t hosting such a gathering for a fee or other larger profit motive) is specifically allowed to participate freely in whatever sort of game they wish. Among others, this includes card games, casino-style games, and sports betting events. Right now, social gaming constitutes the only land-based legal Connecticut sports betting option.